Earthquakes and tsunamis are two of the most catastrophic natural disasters that cause extensive, far-reaching damage and kill thousand of lives whenever they occur. In fact, data from the United States Geological Survey (USGS) revealed that the estimated deaths associated with earthquake were more than 226,000 in 2010 alone. 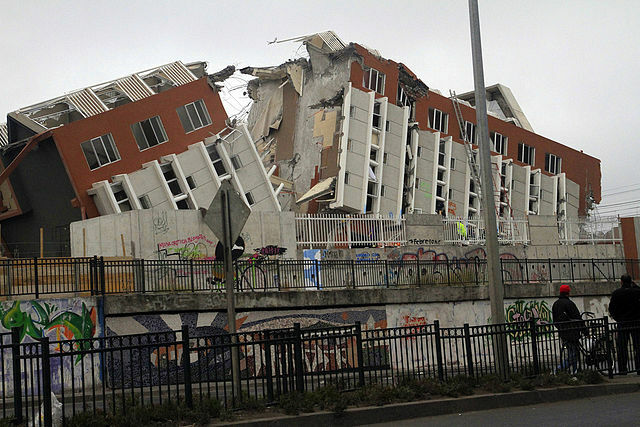 The Insurance Information Institute also noted that the total world insured catastrophe losses associated with earthquakes was nearly $56 million in 2016 alone. The institute also revealed that the March 2011 tsunami that struck Japan was the costliest one in history, racking up $210 million in overall insurance loss. The deadly tsunami was also associated with nearly 16,000 fatalities. Carrie Garrison-Laney, a tsunami and coastal hazard expert at the Washington Sea Grant office in Seattle, noted that tsunamis may even surge by up to 10 miles in land. “It’s really just kind of relentless, the water just keeps on coming and coming and coming for a long time. It’s really a very turbulent flow that is rising and flowing onto land pretty quickly. It’s easy to say, ‘That’s not going to be my problem ever,’ and it’s also easy to throw up your hands and say, ‘It’s going to be so bad that there’s really nothing I can do.’ Yes, it will be bad, but…there are some things you can do to be prepared in the event that it happens,” Garrison-Laney said. The article advised that people store away critical supplies such as water and medication before an earthquake strikes. Likewise, it recommended that fixtures, furniture, and other heavy objects were secured before an earthquake so that injury could be prevented. The entry also suggested that the house be subjected to a structural engineer’s assessment to ensure its overall safety. The article advised practicing the “duck, cover and hold” principle during an earthquake. The entry also discouraged people from going outside if an earthquake suddenly happens. After an earthquake, it is advisable to leave the building if it seems in danger of caving in. The article added that people should exercise extreme caution when doing post-earthquake cleanup. An article published on the Pop Sci website also offered survival tips at the event of a tsunami. According to the article, tsunamis are often preceded by other natural disasters such as earthquakes near the sea floor, volcanic eruptions and landslides. The entry also stressed on the importance of getting to a high ground. The article advised going to places 100 feet above sea level or two miles away from the ocean. Moreover, the article recommended bringing a tsunami survival kit if one is readily available.